There are many, many ways to open a beer. You can use a piece of paper, a water bottle, or, if you're feeling tough, you can even use your forearm. 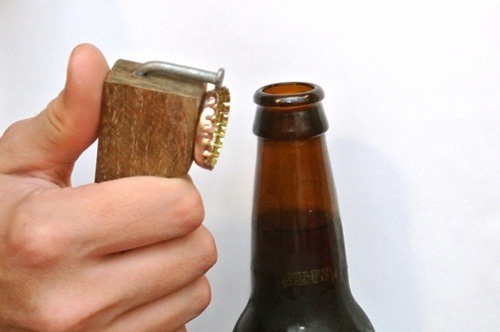 But why do that when you can make your own bottle opener for nothing? 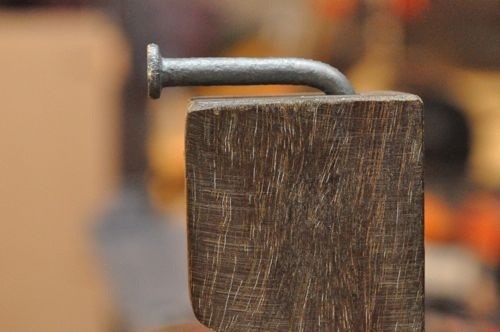 If you've got a piece of wood, a regular old nail, and two small magnets, you can make this awesome bottle opener like Ethan Hagan did over at The Art of Manliness. If you want to go pure redneck style, simply ditch the magnets. First, Ethan cut the wood into the shape he wanted, then sanded and stained it. Next, he drilled three holes—two for the magnets and one for the nail. After bending a 3-inch nail to a 90-degree angle using a clamp and a vise, he stuck it and the magnets in place with hot glue. That's it! 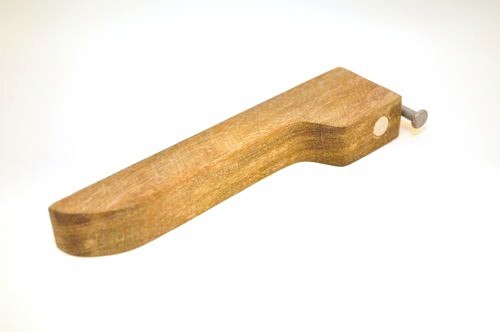 The simplest homemade bottle opener you could ever want to build. Plus, the magnets let you hang it on the fridge so you'll never lose it. 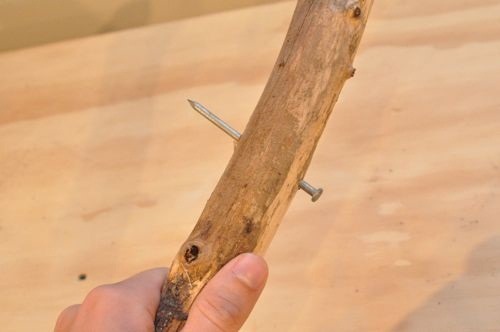 Check out Ethan's full tutorial for more details, and check out his first one ever made on One Project Closer For the redneck version, just find a piece of scrap wood and put a bent nail in it—it's as simple as that. For a more novel approach, you can make one with a .50 caliber bullet, or try this karate-chop bottle opener that's just as simple, but a lot more fun.